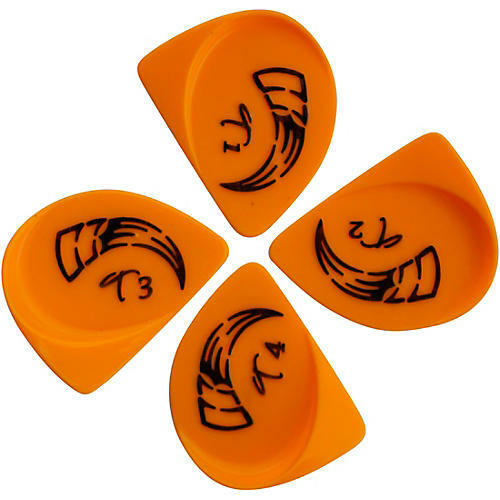 Talon's Mango picks are medium-size and are crafted with a superb material blend that offers a mid-bright tone, fast response, and outstanding durability. With just a bit of flex and tighter feel, they provide a potent delivery to the strings with a quick release. You can dish out full, bright tones with the T1 and T2 models, and tight focused sounds in the T3 and T4 Talons. This Raptor Pack includes one each of the four styles.